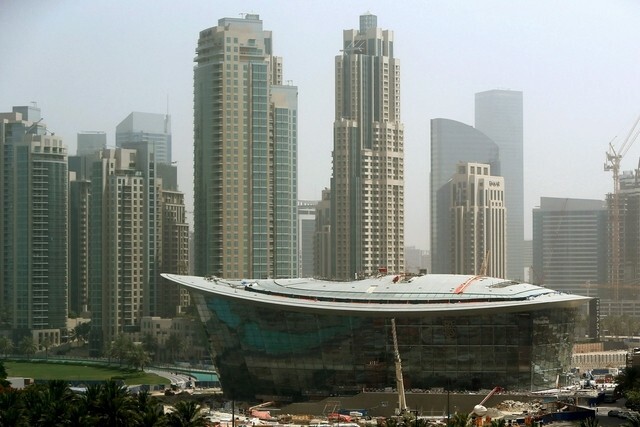 There’s just over a week to go until Dubai’s opera house opens its doors to an excited public. And for those who can’t wait any longer for a glimpse inside, help is at hand courtesy of Dr Anwar Gargash, the Minister of State for Foreign Affairs. He posted this short video on his Instagram account, giving a taste of what is to come at the venue close to Burj Khalifa, which opens on August 31. Spanish tenor Placido Domingo will perform at the opening gala, with the arts complex set to host about 50 concerts in its opening four months. These will include a Broadway musical, Indian classical music, ballet, flamenco, orchestral and a magic show. The opera house is shaped like a dhow, a traditional wooden boat used for centuries in Arabian Gulf waters. It can seat 2,000 and can be transformed from a theatre to a concert hall and also a venue suitable for banquets and weddings.